My Babiie are raising the bar yet again and leading the way with new technology and innovation in our car seats to exceed all current regulation (ECE R44) and our new i-Size regulation Group 0+ Car Seat. 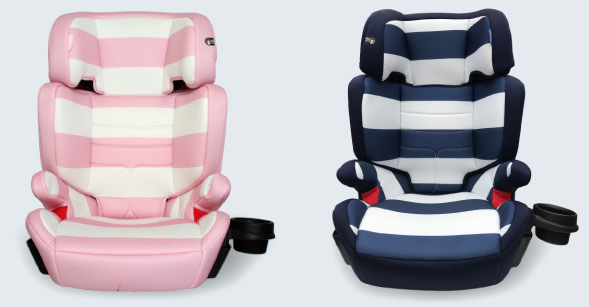 My Babiie Group 0+ iSize Car Seats keep your little one snug and safe whilst in the car. Our Group 0+ Car Seats are also compatible with the My Babiie Isofix base and also come with adaptors allowing you to attach the seat to your MB400 Pushchair frame. My Babiie Group 012 Car Seats have Isofix connectors making them extra safe and easy to install in your vehicle. Complete with lots of safety features, these versatile car seats will grow with your child and keep them comfy and safe on every journey. 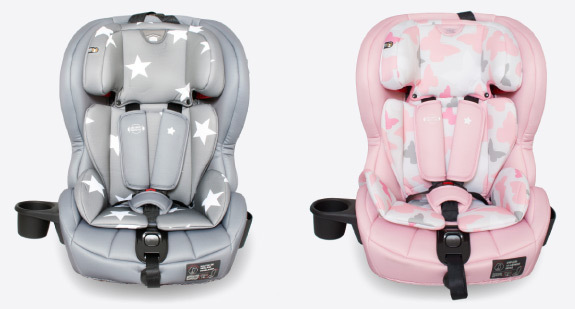 With Isofix connectors, side impact protection and an adjustable headrest, My Babiie Group 123 Car Seats are perfect for your growing little ones. My Babiie high back booster seats without a harness are suitable from 15kg (33lbs) to 36kg (79lbs) or from approx. 4yrs to 11yrs. Children will face forwards in a high back booster seat secured with the adult seat belt. The booster seat raises the child's seating position so that the car's seat belt fits them properly. Car seat bases stay in your vehicle, even when you take the baby car seat itself out. The infant carrier clicks securely in and out of the base, saving you time when you're on the go. An ISOFIX car seat base will plug directly into your car's chassis. Most cars made after 2004 have an ISOFIX system.